You probably noticed already that, in Dar Kawa, we love food. This also means that we love to change the dress code of our table and that we permanently look for new linens and accessories that will match our menus and decor. Today we had a lunch with a fusion of moroccan and african elements. 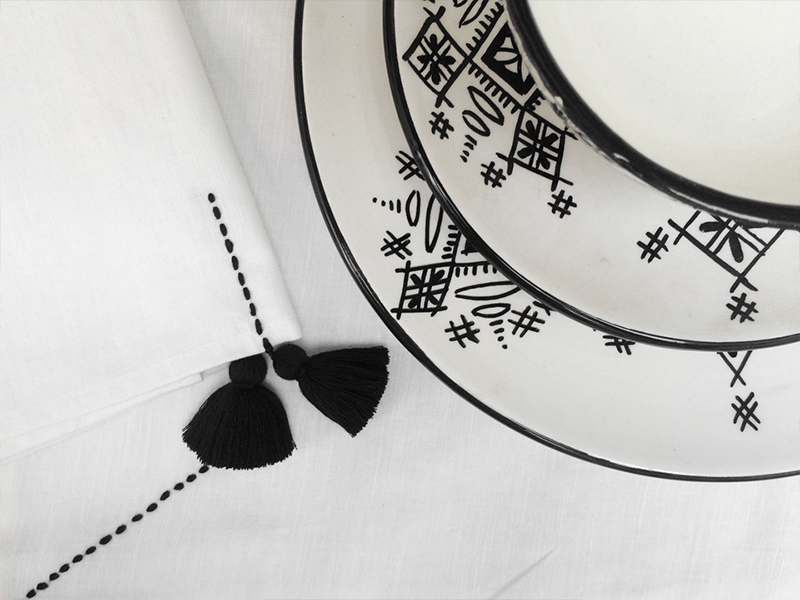 Table linen was designed by the owner of Dar Kawa, Valerie Barkowski. For those who do not know her work, check out her website here. 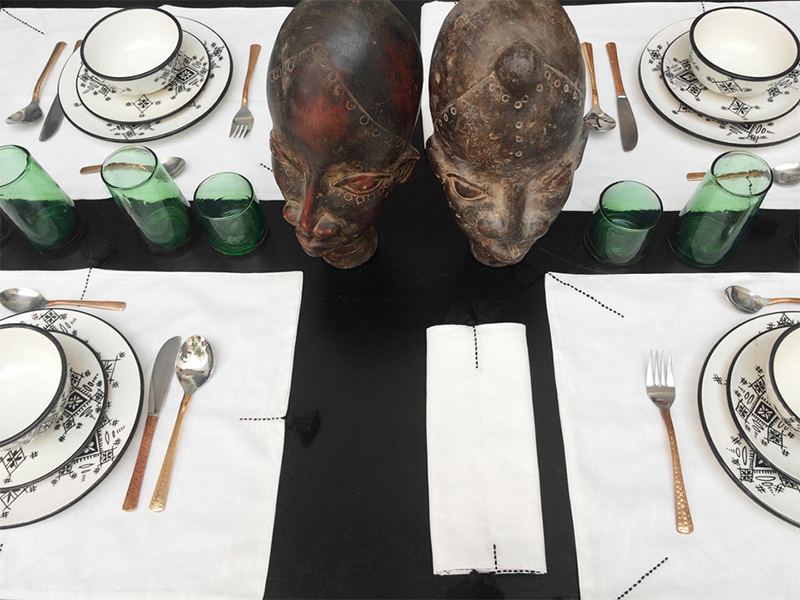 Glasses are mouthblown in Marrakech by Kessyverre. The ceramic painted dishes are from Mustapha Blaoui. It is also there that we found the 2 heads in the center of the table. Cutlery was bought in India, it is the only item you will not find while shopping in Marrakech.